I've lived in quite a few rentals over the years. I no longer rent, since my husband and I live with my in-laws, but his parents do rent houses out to other people. They normally use a rental service to do all of the tenant's credit check, employment verification, and so on. However, I recently learned about this amazing site that I think they should most definitely start using. It is called Tenantify. 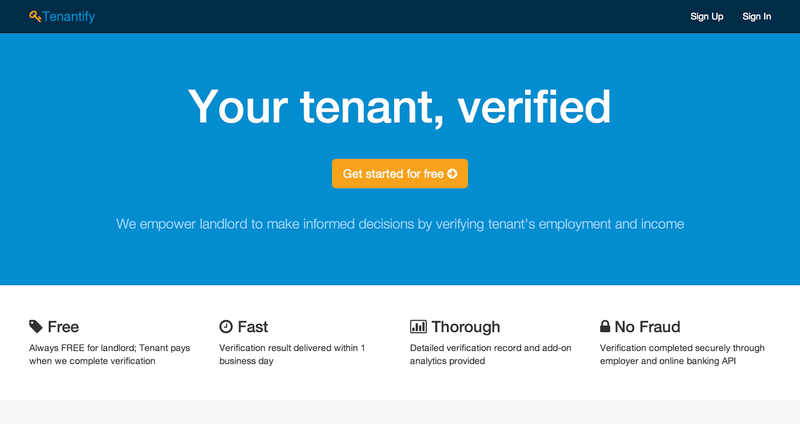 I think that this website is a great idea since it makes the entire process of verifying tenants, for landlords, way easier than before. Their goal is to reduce stress for the landlord, while also building trust between landlord and tenant. 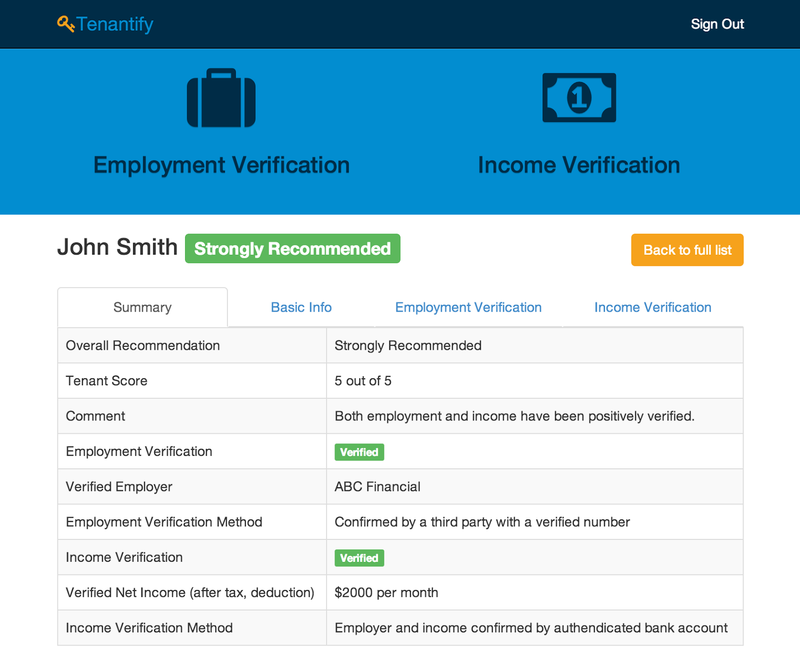 Tenantify verifies both the tenant's income and employment through reliable sources. For income, they use a secure bank account API to report the needed information to landlords without saving any of the tenant's personal info. For employment, they ask the tenant for their employment details and then verify through a number of trusted third parties. Then, they actually speak with the tenant's employer and to complete verification. Finally, they report back to landlord. They help eliminate the possibility of any fraud risks. ALWAYS free for landlords, tenant pays after verification is completed. This is a screenshot of what occurs on the website when the landlord is entering the potential tenant's information that they want to verify. The entire website, itself, is very easy to maneuver around. 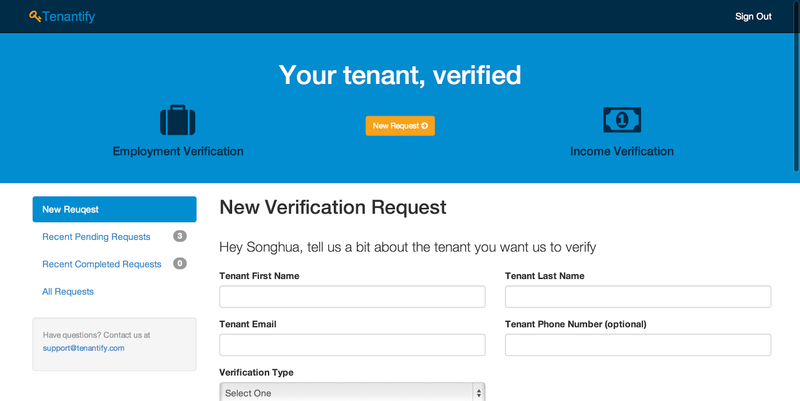 This is a screenshot of an example of what the final tenant verification would look like. In my opinion, it is very easy to understand and has all of the most important details needed in order for the landlord to decide whether or not this is the tenant that they would like living in their property. I can't believe that my in-laws haven't tried anything like this service yet. In fact, I'm going to introduce them to this website tomorrow. If you would like to learn more about Tenantify, you can visit their website. In case you are a more visual person, there is a helpful video available that explains the entire Tenantify process in more depth, below.